Spray with Ease! 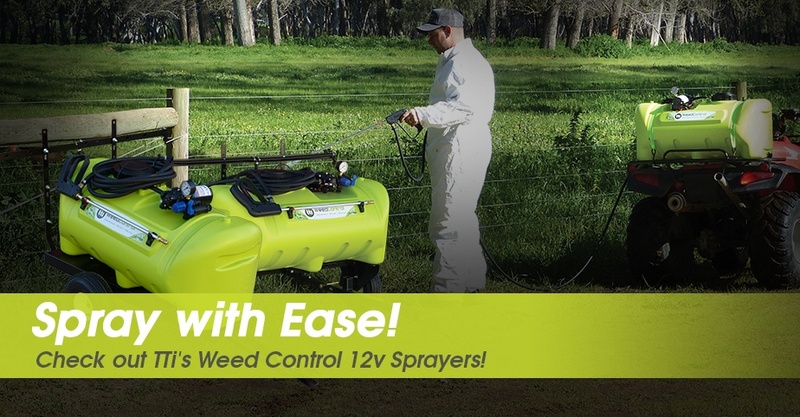 Check out TTi’s Weed Control 12v Sprayers! Tired of pump up hand sprayers? 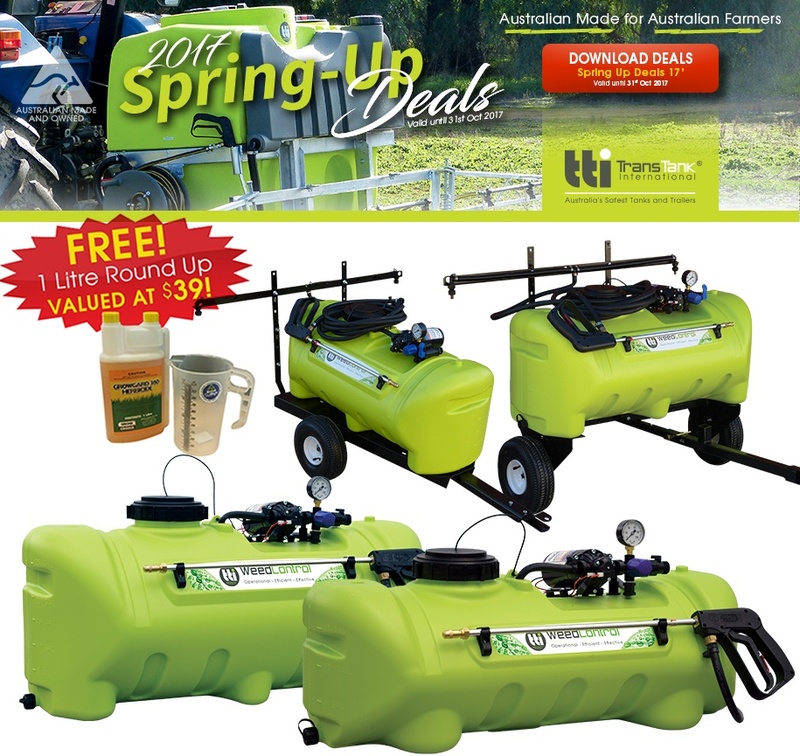 Check out TTi’s ultimate solution for all your spraying needs available at TTi Spring-Up Deals 17′ valid until October 31, 2017. 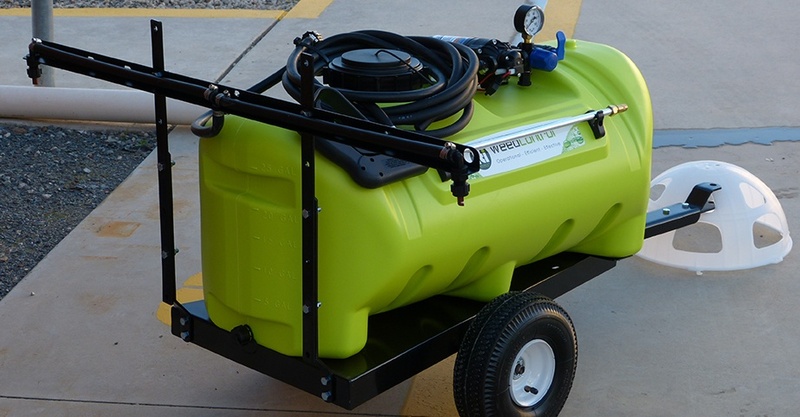 Choosing the right sprayers to use to ensure the chemical’s optimal performance is imperative. 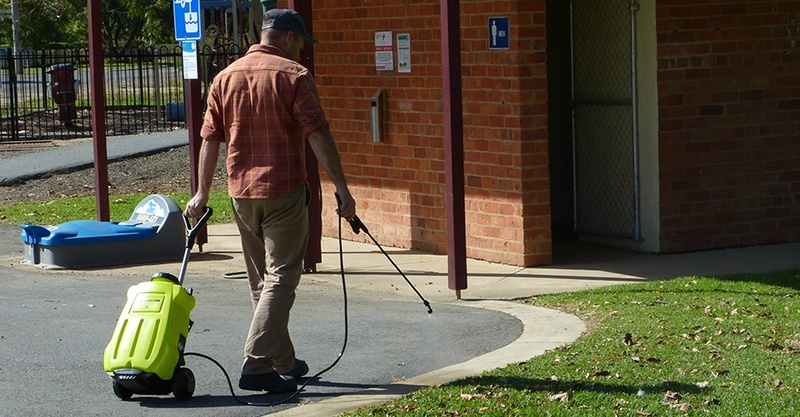 TTi has a huge range of sprayers best fitted for your weed control activities. TTi’s 16L WeedMasta Trolley Sprayer has been designed to save you from back pain.This sprayer is being offered at just $272, with 1L RoundUp and measuring jug being offerd FREE with every trolley sprayer! This offer is also included on the WeedControl sprayer, which comes with an extra tough spray lance, 8.3L/min pump and UV stablised poly tank. » Reduced chemical use through accurate pressure control saves you money! » Selective spray pattern for a perfect kill without waste. To secure your deal today, visit one of our LAD’s (Local Active Dealers) or visit www.tti.com.au.